Over the past 14 years, Coach Ray Moon has become the face of football at South Delta Senior Secondary School. In the early 2000s, a forward-thinking football coach, Brian Higgins, convinced long-time Tsawwassen resident, Ray Moon, to bring his wealth of experience to the SDSS Sun Devils. After several years of assistant coaching duties Coach Moon was appointed the title of Head Coach at the end of the 2005 season and he accelerated a well-respected football program, to a great one. The Sun Devils were long considered a powerhouse contender at the AA level of high school football. At the AA level, Coach Moon’s teams have made it to 3 Provincial championship games, winning 2 titles (2008 and 2012). 2014 brought about a brand new experience for Coach Moon and the Sun Devils. At the start of the season, the Sun Devils were unexpectedly bumped up to the AAA tier. Many outsiders thought that it would be a building year for the Sun Devils as they adjusted to AAA. Coach Moon, and those close to the team, believed otherwise and set their sights much higher than simply being competitive in the AAA tier with their mantra being “I can. We will.” Under his tutelage and against improbable odds, the 2014 team had a remarkable season with a record of 11-1, culminating in a AAA provincial championship trophy in their hands. The team’s success is a tribute to Ray’s work ethic, encouragement and infectious desire to improve each day. His players have received 45 scholarship offers, over ten currently play in the CIS, one in the CFL, and several are up and coming CFL prospects. 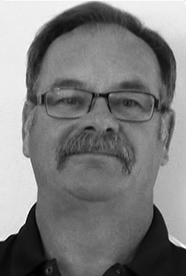 In 2012, after an undefeated season, Coach Moon had the double honour of being recognized as Scholastic Coach of the Year and was awarded the BC Lions coveted Orange Helmet Award for his exemplary contribution to juvenile football.